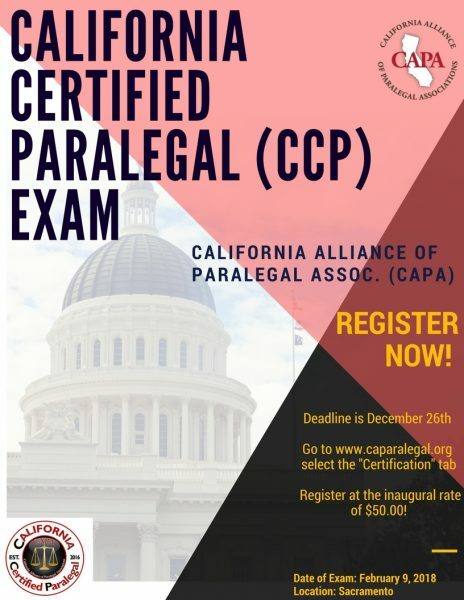 The first California Certified Paralegal Exam will be administered on February 9, 2018, in Sacramento, California, at a location to be announced. Registration deadline is December 26, 2017. Additional information and materials will be e-mailed to you upon registration. Once Exam Date is confirmed there are no refunds.